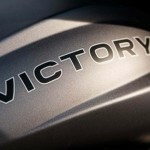 Okay, right off the bat, Victory has a lot of nerve listing any Magnum X-1 as a Stealth Edition. 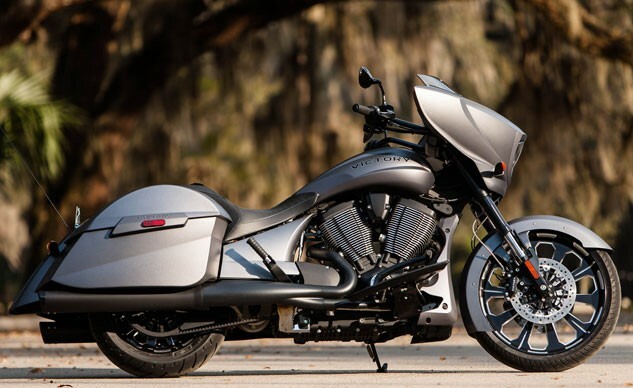 The very idea of the Magnum X-1 is contrary to stealth in any form. 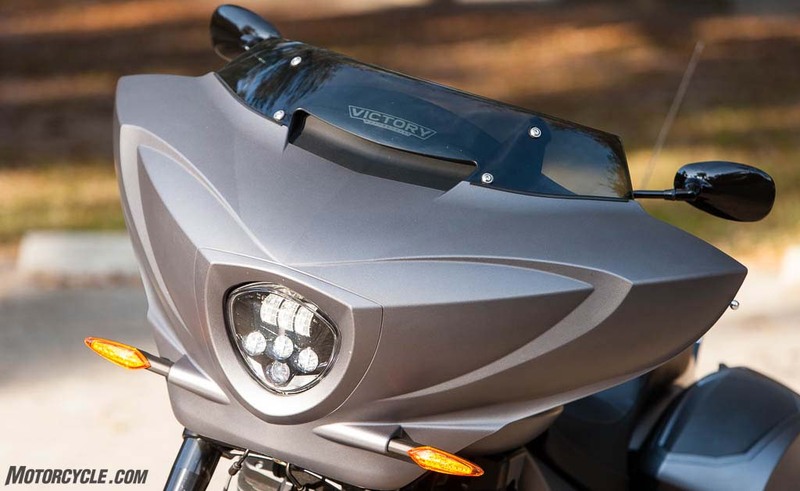 First, the motorcycle in question is based the Victory Magnum, which is the tricked-out and slammed iteration of the venerable Victory Cross Country. 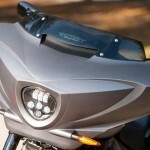 Victory literally upped the volume with the Magnum X-1 by adding to the factory sound system already in the batwing fairing by mounting four speakers in the saddlebags. 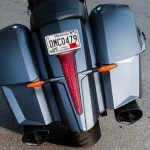 Yeah, these bikes are all about getting attention, despite having stealth in the model’s name. 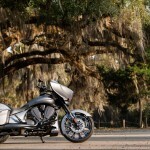 There isn’t any better place than Daytona Bike Week to see how well a cruiser can strut its stuff, so we rolled up the Magnum X-1 Stealth Edition and sank our way into the hoards of people at motorcycling’s annual coming-out party. Next came the 2015 Magnum-fied paint scheme. Loud is the operative word for the paint, too, with colors that sound like the members of a metal band: Black Crystal, Super Steel Gray, Havasu Red, and Suede Pearl White. (Okay, maybe not the last one.) 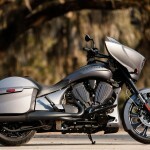 Last year’s Magnum X-1 received an exclusive color scheme, too. The stereo’s information screen is on the bottom. 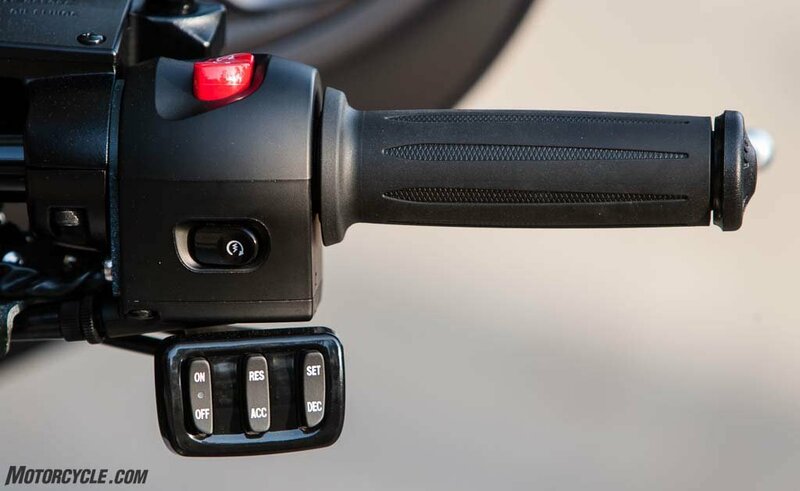 Despite its diminutive size and dated monochrome layout, it effectively delivers all the data the rider needs. 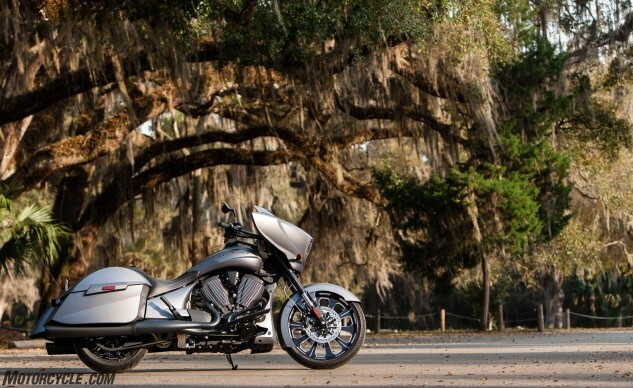 For 2016, Victory has toned down the Magnum X-1 while simultaneously maintaining the volume. 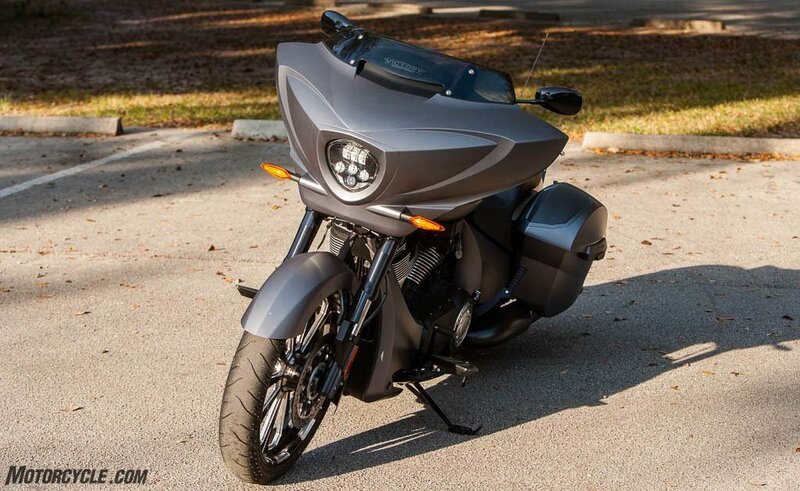 The X-1 Stealth Edition receives a stately Stealth Gray paint scheme with a suede texture that can be described as not-quite-matte and certainly-not-semi-gloss. The paint quality is eye-catching in its subtlety. In fact, many people who encountered the X-1 SE at Bike Week could not resist the urge to caress it. Really. 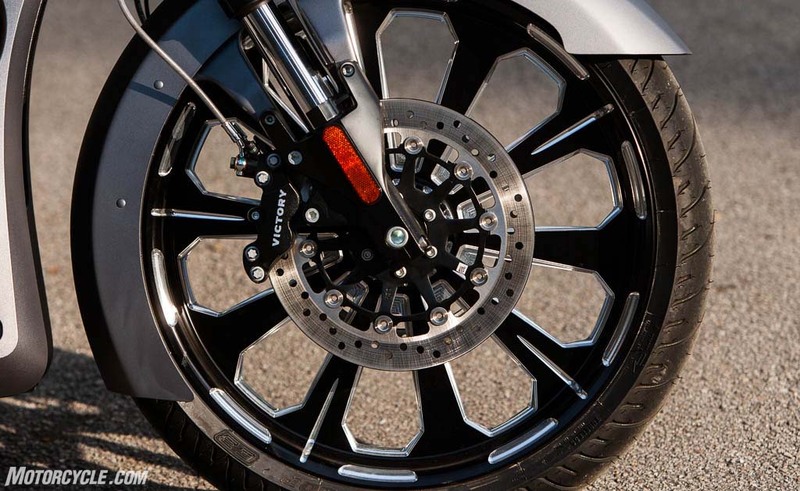 So, the X-1 SE has this stately paint and the impressively large Black Billet front wheel that has its spoke shape set highlighted by machined edges that show off the aluminum beauty beneath the black topcoat. Where the Magnum wears chrome, the X-1 SE steps in with semi-gloss black. This is most noticeable in the engine compartment where some bolts, the machined cooling fins, and the engine badge are the only silver visible. 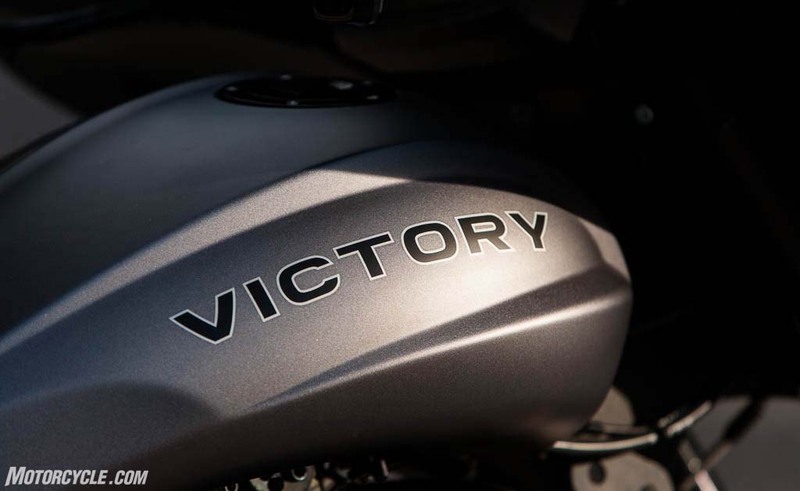 Underneath the premium-but-almost-understated styling, the Cross Country’s 1731cc (106 ci) 50-degree V-Twin provides potent motivation for a bike that is said to weigh 787 lbs. dry (meaning any kind of fluid (fork oil, engine oil, gasoline, hydraulic fluid, etc.) is left out). 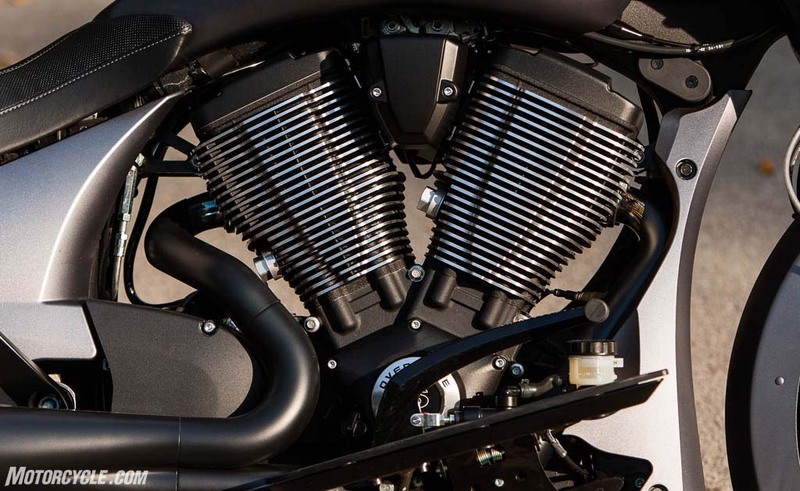 Since the X-1 SE is similar in many ways to the Victory Cross Roads we dyno tested in 2014, we know that the Freedom 106 engine is using its 77.5 hp and 88.9 lb-ft to muscle about 850 lbs. of motorcycle around. 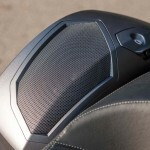 The clean looks of the rear speakers highlights the integration you get with factory sound systems. The additional bass and the presence of sound from behind the rider increases the rider’s enjoyment of the music. Lurking within this stylish hammer is a 10-speaker, 200-watt sound system that turns the Magnum into a mobile music machine. 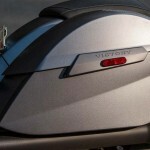 With six speakers in the fairing pumping out the volume in the front of the rider, the two 6 x 9 woofers and tweeters mounted in the leading edge of the saddlebag lids surround the rider and passenger with music. Since the stereo needs to combat the road and wind noise at speed, it needs to be loud. And it is. To test the sound system, I took the X-1 out of Daytona Beach to a remote location to give the system a listen. With the stereo turned up to 11, I sat on the bank of a lake and was reminded of my adolescent summers where a remote lake or the dead end of a country road became an instant party with the music blasting out of the back of the cars – only the technology has improved. Thanks to Bluetooth, I didn’t have to walk over to the bike to change the song. I could do that with my smartphone and Pandora. Folks who never had to deal with cassette tapes just don’t know how good we’ve got it now. 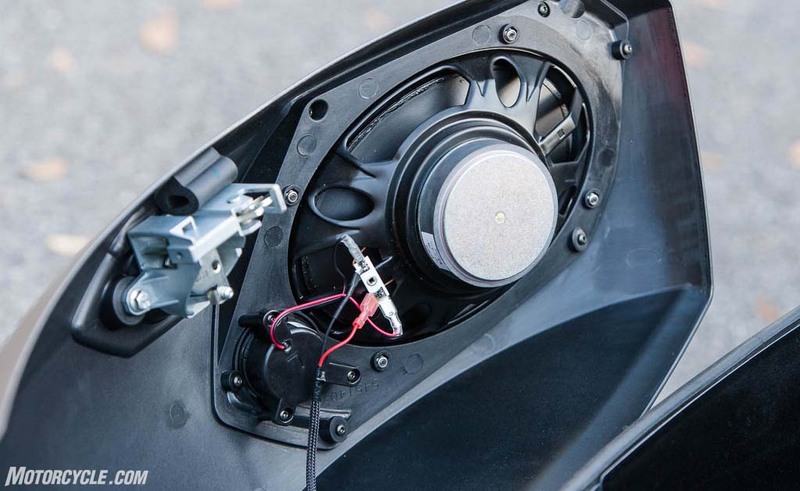 The sound system’s only miscue: the wires and speaker in the saddlebag lid appear to be quite vulnerable. Back on Main Street, the X-1’s sound system was more than enough fill the cockpit with an envelope of sound that could easily be heard over the loud exhausts and other stereos partaking in the Bike Week scene. 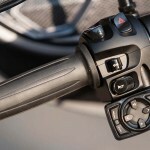 When actually riding around town, the music can be heard clearly, and the ability to fine-tune the X-1’s speed-sensitive auto volume control is much appreciated. Out on the open road at highway speeds, any motorcycle stereo is fighting a losing battle. I like to listen to music, and by that, I mean listen to music – not merely hear it. 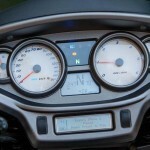 As the road speed goes up, so does the amount of wind, road, and engine noise the stereo has to overcome for the rider to be able to hear the music. At some point in the battle with the ambient noise, the volume becomes oppressively loud and taxing while still not enabling the rider to appreciate the full fidelity of the music. 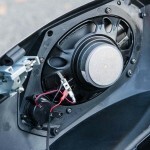 For high-speed audio enjoyment on a motorcycle – any motorcycle, not just the X-1 – a Bluetooth communicator with helmet speakers or sound-damping ear buds provide the best method to truly enjoy music. 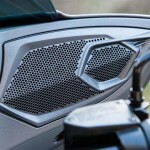 More is more: The six front speakers in the Magnum are nice, but adding the X-1’s four rear ones fills out the sound. 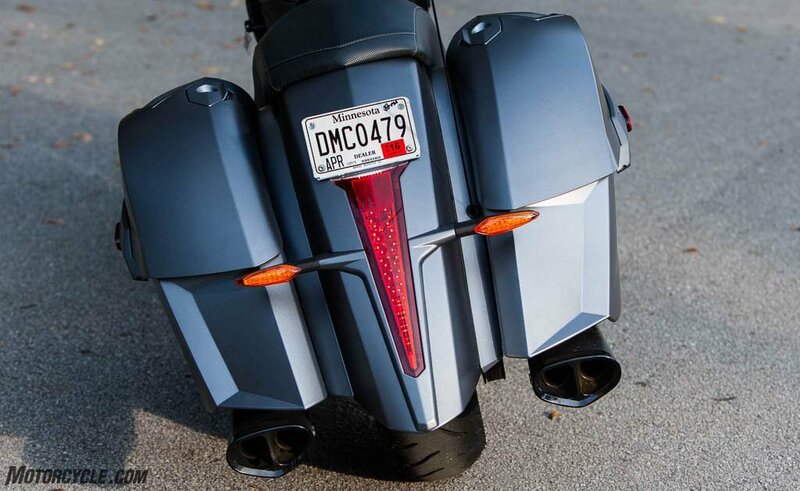 The speakers are stylishly integrated into both the fairing and saddlebags with the speaker grills color-matched and blended into the overall look of the Magnum. Naturally, they’re waterproof. 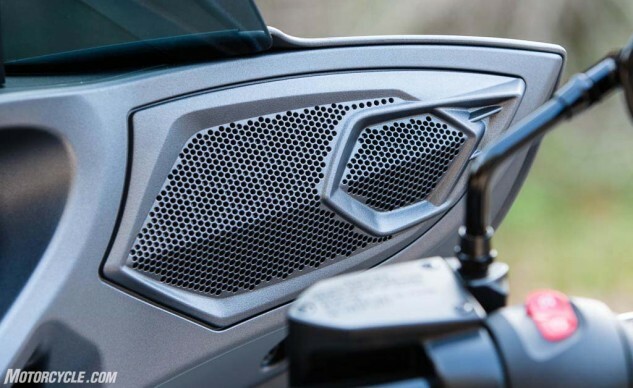 The speaker installation in the saddlebag lids makes me worry about the potential for damage on road trips if the bags get overpacked. 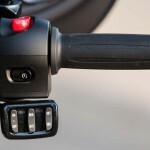 While the open back does allow the saddlebags to be used as resonance chambers, deepening the sound, there must be a way to accomplish this without leaving the backs of the speakers vulnerable. The Magnum X-1 is a fun bike to ride, the seat height is a bit lower than that of the Cross Country which makes it easier to maneuver through mundane chores like U-turns while working your way through the hundreds of other motorcycles in one of Bike Week’s massive parking lots. 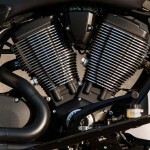 Similarly, the Freedom 106 engine has more than enough grunt to propel the Magnum with ease. The X-1’s transmission has minimal transmission-clunk, continuing Victory’s improvements to its gearboxes. 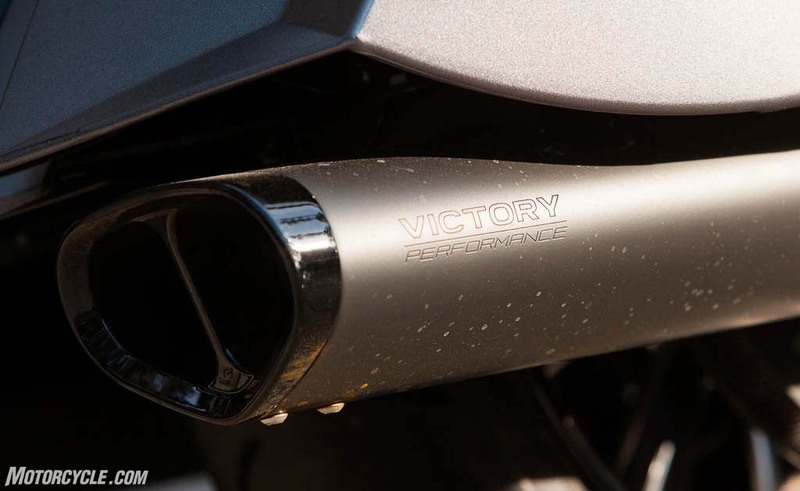 Once you’ve seen the Victory stunt Team lead clouds of tire smoke from riding full-lock burnouts on their supercharged Cross Countrys, the desire for more power will always be there. 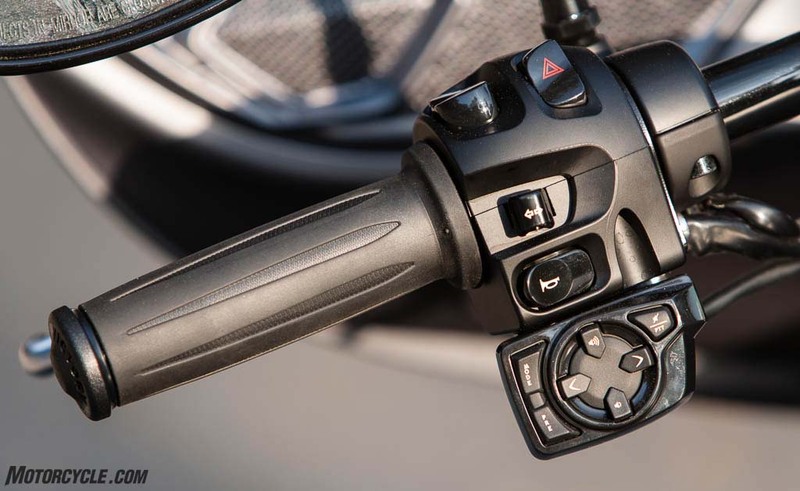 The sound system controls get the job done, but they are clearly tacked on rather than integrated into the switch cluster like premium motorcycles from other brands. I’ve got to admit that I initially questioned John Burns’ praise of the Magnum’s handling. 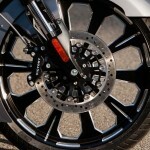 The 21-inch front tire seemed like it would drastically slow down the steering and make the front end floppy at low speeds. Happily, he was right, and I stand corrected. 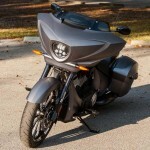 No, the response isn’t as snappy as on a sportbike with a 17-inch front wheel, but the effort required is easily achieved with the wide handlebar. Surprisingly, the drop in rear wheel travel (4.7 to 3.5 inches) was not noticeable on the smooth Florida roads, and the bumps I encountered around town did not feel much different from my time in the Cross Country’s saddle. 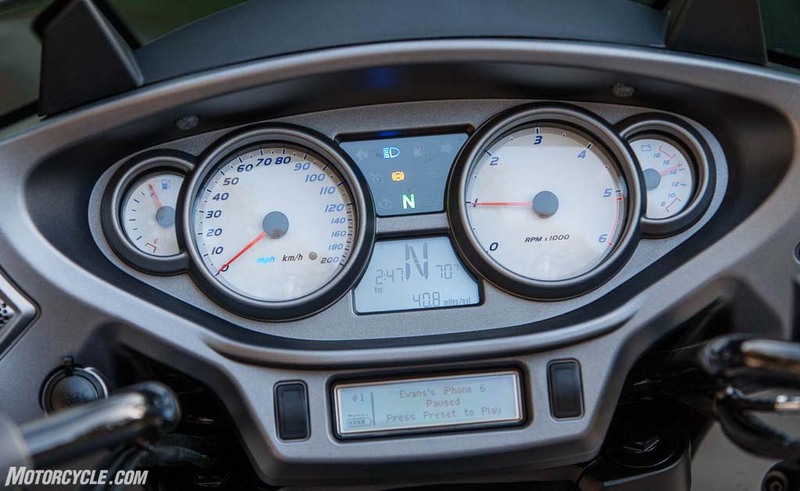 One area that the Magnum doesn’t compare favorably to the Cross Country is the windshield. Yes, the shorter shield looks really nice and works just fine around town. However, the buffeting that it puts off a highway speeds for my reasonably long torso and 5-foot, 11-inch height was disappointing – and added to the difficulty hearing the X-1’s stereo at speed. 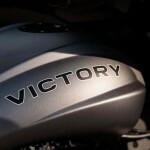 Riders who want to travel long distances should take a look at the Victory accessory windshields. 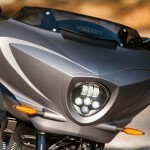 The fairing also holds the cool LED headlight which Victory claims is 74% brighter than halogen bulbs. Although I didn’t completely escape the city lights to experience rural night riding with the Magnum X-1, the seven focusing lenses project the crisp light where you want it when riding. 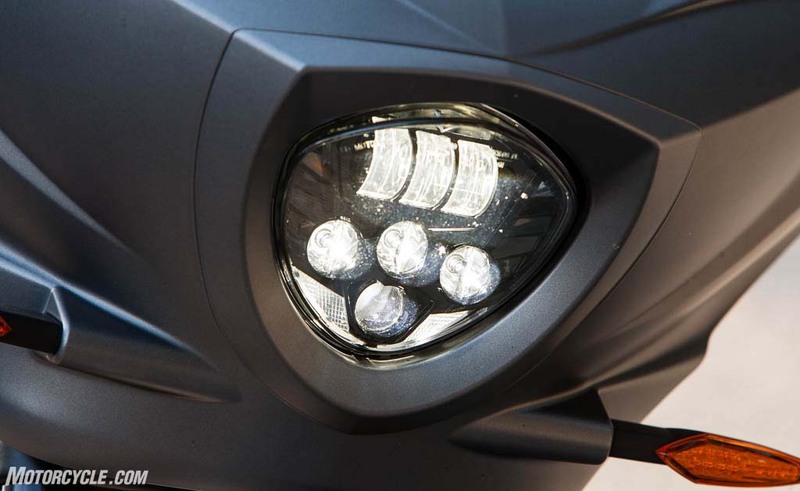 The headlight’s high-tech look suits the angular lines of the fairing, too. 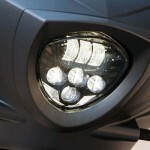 The LED headlight fits Victory’s futuristic styling of the Magnum. 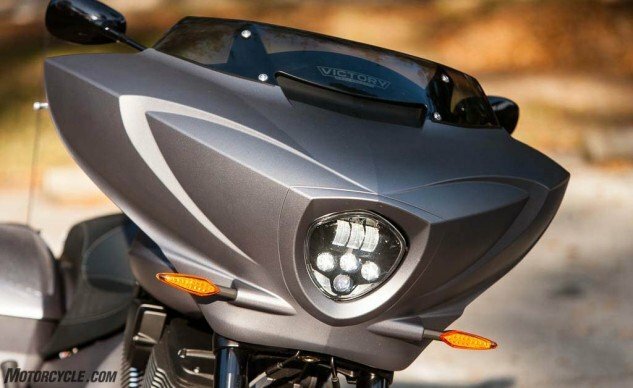 For 2016, Victory has taken last year’s Magnum X-1 and retooled the styling, added LED lighting, and kept the sound output high. 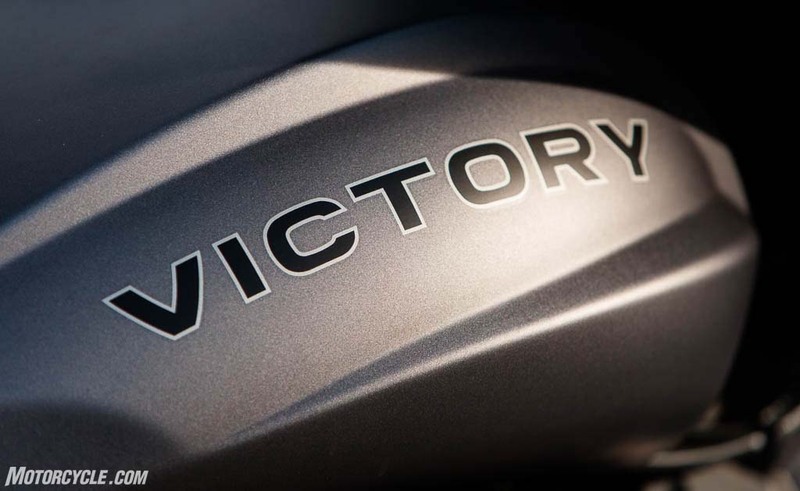 Surprisingly, for a bike that sold out its production run in 2015, Victory also dropped the price by $1,000. 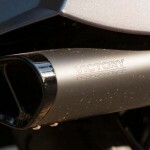 The Magnum X-1 Stealth Edition is clearly not for the rider who wants to maintain a low profile. The exceptional paint gets attention even when the bike is parked. 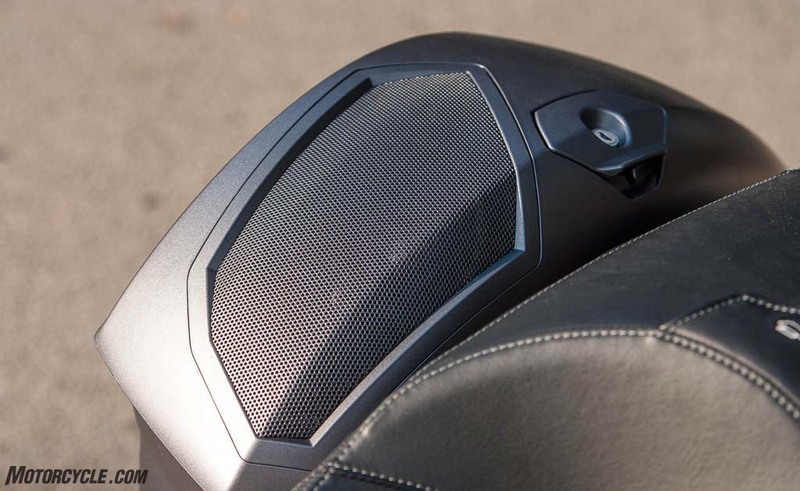 The stereo’s thumping audio power makes sure people look when the X-1 is on the road. 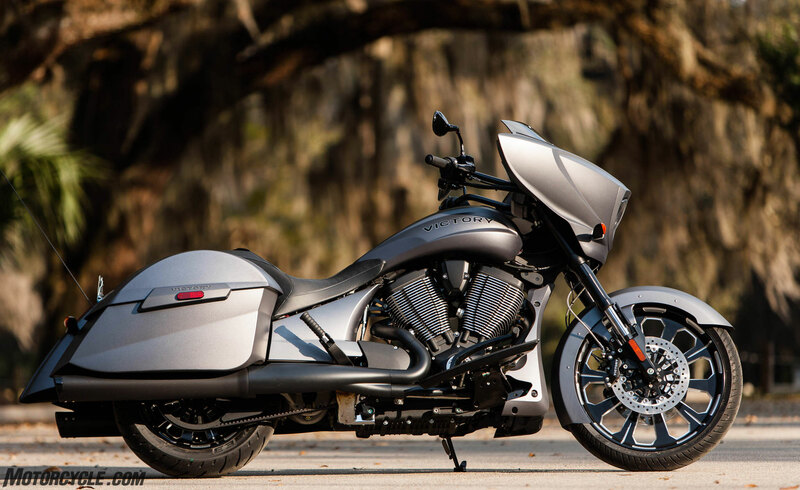 Priced at $23,499, the 2016 Victory Magnum X-1 Stealth Edition is available in dealerships now. Rake/Trail 29 ̊ / 5.6 in. Claimed Weight (Dry) 787 lbs.